Using ingredients that are available in supermarkets, the recipes are as easy as can be - from shopping to cooking to serving. The book starts with Katy's introduction to vegan cooking and cooking, with advice on the equipment you need to make your cooking go faster, plus essential storecupboard ingredients. In chapters covering Breakfast, Light Bites, Mains, Essentials and Sweet Stuff, Katy offers 100 straightforward recipes and tips about preparation, freezing and storing. Whether you're already eating vegan or just want to try something new, nothing could be simpler and faster than 15-Minute Vegan. "I love this little book! I read it from cover to cover, starting at the back, because that's how I roll. I stopped at the peanut butter blondie "flapjacks" in the desserts section, made and baked them (in 15 minutes) as I finished my first read through of the rest of the book. There is a lot to like about the book. The recipes are easy, fast and modern and the design is crisp, clean and easy on the eyes. If you are looking for a modern take on vegan cuisine that is easy, and I mean 15 minutes easy, check this book out!" "The look and feel of the recipes included are so high end for only taking 15 minutes. It gives speed tips throughout to help with individual recipes. The recipes and ingredient lists are refreshingly short and easy to follow. The design and photography are really high quality. 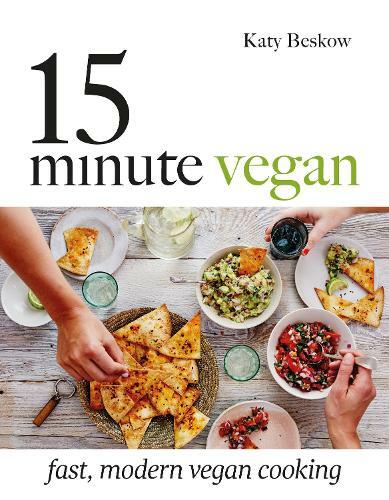 If you're looking for a well thought out book filled with simple, quick-to-make recipes, 15 Minute Vegan is definitely for you."